When was the last time you had your brakes inspected? 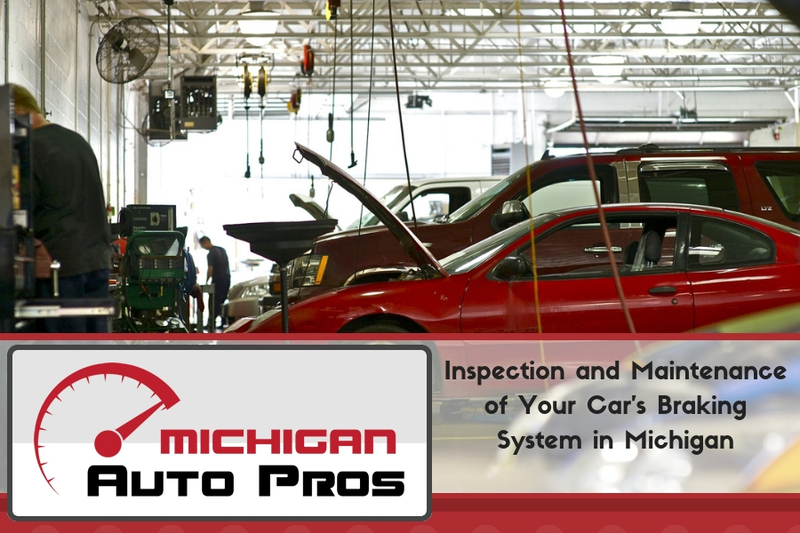 If you can’t remember, it might be time to schedule an appointment with a certified auto service shop in Michigan. Your brakes influence handling and keep you and your passengers safe. They’re also the only part of your vehicle entirely responsible for slowing it down. Brake maintenance need not be terribly expensive, but if let go, the damage can easily extend into four figures. A better understanding of what happens when you mash the pedal on the left (or the middle, if you roll like that) will help you decide if it’s time to get your brakes inspected, and why it’s important that you do. Not so fast! Before we jump into what makes your car stop, let’s take an honest look at how you drive. Driving habits can have a major impact on how components wear. If you’re a habitually late-breaker, chances are you’re due for an inspection sooner than you think. This applies to fast drivers too. If you’re frequently driving faster than those around you, then it’s likely you’re also braking more. Conversely, those who slowly approach a stop, or don’t ride the brakes down a hill will typically enjoy longer brake lifespan. If your car has three pedals, brake life can generally be extended. By keeping your car in a low gear when going down steep grades, or dragging the clutch to aid in breaking, your engine partners with the brakes to stop your vehicle. Regardless of what you drive, your driving habits have a direct correlation with brake life. Brake pads are a consumable portion of your car’s braking system, and they will inevitably wear out. This is intentional. The pads are responsible for maintaining a barrier between your calipers and discs, and they create friction needed to stop your car. Brake pads are made from a range of materials including metal, ceramic, and synthetics. Each of these materials will affect pad and rotor wear, as well as braking efficiency and even brake noise. Every time you touch the brake pedal, each pad is slowly eroded. Unless you travel everywhere in reverse, your front brakes endure the brunt of the braking force. If you watch a car approach a stop, you’ll notice the front dips under braking force. Because front brakes are subject to greater forces than are the rear, they generally wear a bit faster. If you go out and inspect your wheels, rub your finger across the areas closest to the brake rotors. Much of the black dust that ends up on your hands is powdered brake pads – material having burnt off under braking force. Compared to the rear, the front brakes are usually covered in more dust which illustrates the greater forces they’re subjected to. The rotors, sometimes referred to as “discs” are just that – metal discs attached to your wheels that spin at the same rate of speed. The caliper is affixed to a bracket, and thus stationary. When you step on the brakes, the caliper presses the pads against the spinning rotor which creates friction and stops the vehicle. The overall circumference of the disc, as well as its surface area will determine how fast a vehicle can be stopped. On some higher-end vehicles, you may notice the rotors having what looks like holes drilled in them. This is to aid in cooling under the extreme temperatures brakes are subjected to during racing or spirited driving. The rate at which your rotors wear depends a lot on the type of brake pads you use, and their condition. Fully-metallic pads generally offer superior braking performance and a long lifespan, but they also wear rotors significantly faster and therefore are typically found on purpose-built racecars. For daily driving, it’s best to select a pad that offers good braking performance, without prematurely wearing your rotors. Using hydraulic pressure, brake calipers squeeze a spinning disk to stop or slow a vehicle. With normal use, properly maintained calipers can last the life of the car. Lack of use and exposure to the elements are two of the most common factors when it comes to caliper wear. Calipers are an essential part of the braking system. If left unused, moving parts inside the caliper may stick or seize. Exposure to the elements can easily corrode delicate components and allow debris to collect inside the system. If the brake pedal sticks, you notice the car pulling to one side, or feel a decrease in braking performance, it’s best to have your brake calipers inspected by a service professional. It bears mentioning that some older or lower-spec vehicles may be equipped with drums and shoes instead of rotors and pads. Their purpose is the same: create friction to stop the vehicle. With drum brakes, a bowl-shaped cylinder (the drum) rotates around two hemispherical shoes which press against the inside of the drum to stop the vehicle. While drum brakes generally don’t offer the same performance as disk brakes, they’re perfectly capable of stopping a vehicle under typical driving conditions. Like pads and rotors, drums and shoes will eventually wear out and need replacement. Do I need to service my brakes? Brakes should generally be inspected every four to five thousand miles. Brake pads are designed to make a squealing sound when worn to their limit. This is to inform the driver that it’s time to replace them. If ignored, the pads will wear to the point of metal contacting metal, and your discs will likely also need replacement. May times, people replace their rotors when doing the pads, as this allows uniform wear between the two contact points. Rotors are subject to warping, usually made apparent by the vehicle shuddering when the brakes are applied at high speed. Neglecting one braking component often leads to the damage of another. If you notice any abnormal handling, or strange unusual sounds when applying the brakes, it’s best to have them inspected. If you need your car or brakes inspected be sure to stop by Good Care Auto. 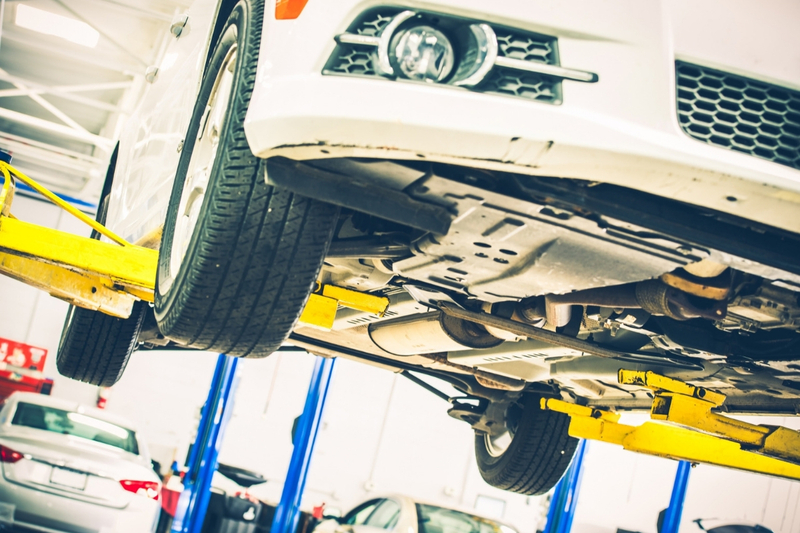 At Good Care Auto they’re equipped to handle all of your braking needs. From routine maintenance like fluid and pads, to drums, shoes and total overhauls, their certified professionals are standing by. Give them a call at (734) 285-1188 and bring your vehicle to Good Care Auto today! Next What Is Your Check Engine Light in Downriver Michigan Trying to Say?